The medieval adventures of a 15-year-old masked Robin Hood-like hero, the legitimate heir to the throne of the Kingdom of Graxonia (capital: Linwooslk), which was usurped by the the evil Duke of Norwood (or Nordstein), with the help of his brutal henchman Krasco. 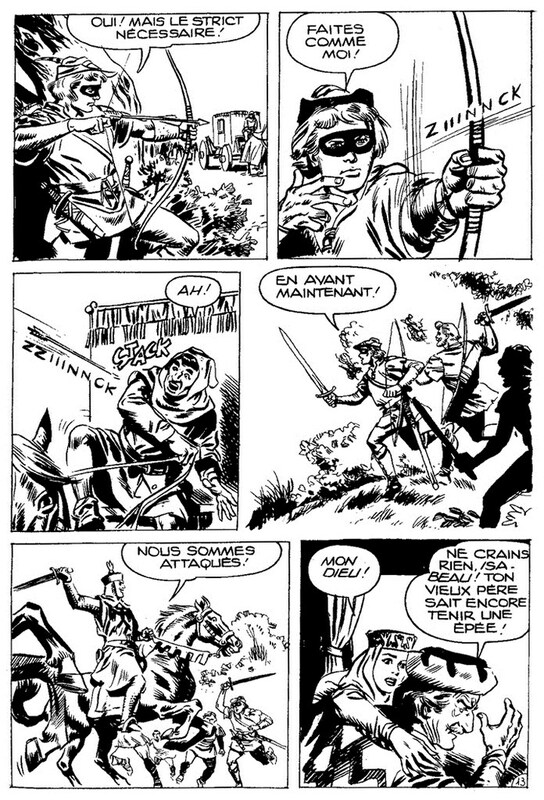 Sadko fought the Duke as the Mysterious Archer, with the help of court jester Jolly and page Lucy. Prince Sadko is the founder of the Brotherhood of Archers. Included in the volumes dedicated to Kidz.